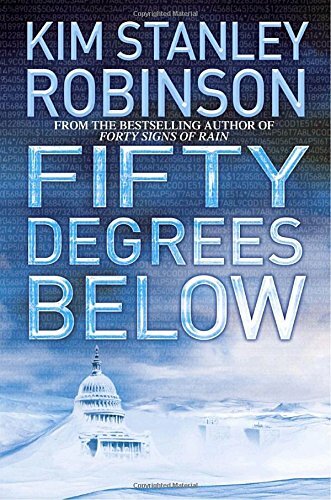 Scientists have a gravely important task ahead of them, in Kim Stanley Robinson's thriller Fifty Degrees Below. Thanks to global warming -- which Robinson warned us about in his previous novel Forty Signs of Rain -- the Gulf Stream has stopped bringing warm air to the eastern U.S. and Europe. Wintertime Washington DC resembles Antarctica, and another Ice Age looms unless an ambitious plan succeeds.